Derbyshire Properties realise that every landlord has different requirements, therefore we have designed a range of services tailored to suit every landlord's criteria. There are numerous potential pitfalls in letting out your property and our specialized service can often prevent these problems occurring. However, problems do occur from time to time and our team will endeavour to solve any problem and will take the necessary steps to ensure that the problem does not persist. We will visit your property and offer free advice and guidance on every aspect of the property letting, including rental valuation, inventory of contents and fixtures and fittings, marketing and advertising and outline the current regulations. Finding the right tenant is vitally important therefore we offer a comprehensive reference checking system and personal interview ensuring we find the right tenant. Letting a property is a complex matter and we are pleased to be able to guide you through the current legislation and details of our tenancy agreement which is prepared to meet the individual circumstances and needs of the client. It may be prudent to prepare a full and detailed inventory in order to protect you, your furniture and your property! After successfully negotiating the letting, we are able to manage the property throughout the duration of the tenancy. Our management services includes: collecting the rent and transfer of the monies by BACS into your bank account, arranging maintenance and minor repairs, advising the utility suppliers of the change of occupation and to undertake quarterly inspections of the property. A fully itemised statement of your account will be sent to you each month. At the end of the tenancy we will liaise with the tenant to ensure that the property is left in good condition. Only after all parties are satisfied with the condition of the property will the deposit monies be released. Professional advice on rental value and target market. Fast & effective first day marketing, advertising and the erection 'TO LET' board. Specialist referencing and credit checking facility. Free Specialist Rental and Legal Protection (first 6 months). 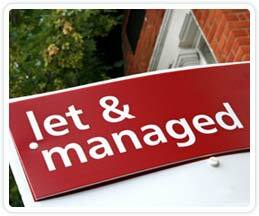 Assured Shorthold Tenancy Agreements which gives you peace of mind. Full property management service at an affordable monthly charge.